We have been looking for a solution to our storage problem. 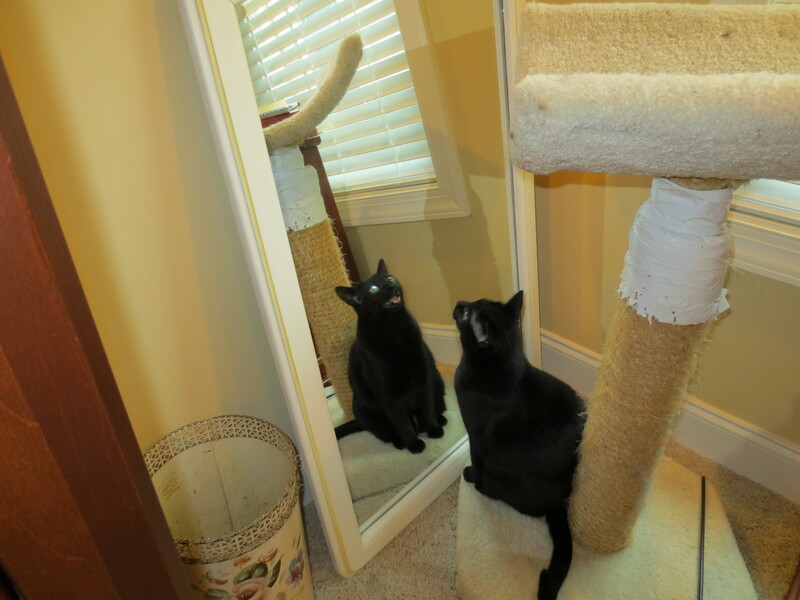 Our open shelves in the closet have become a comfy sleeping spot for the cats, thus leaving cat hair on clean clothes. 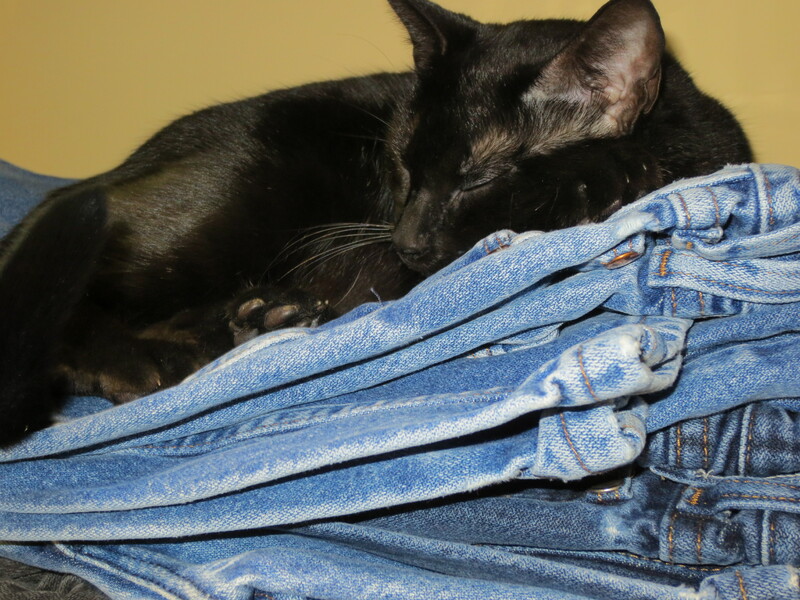 New favorite hiding place – on her “Dad’s” jeans. John’s sister provided a solution. 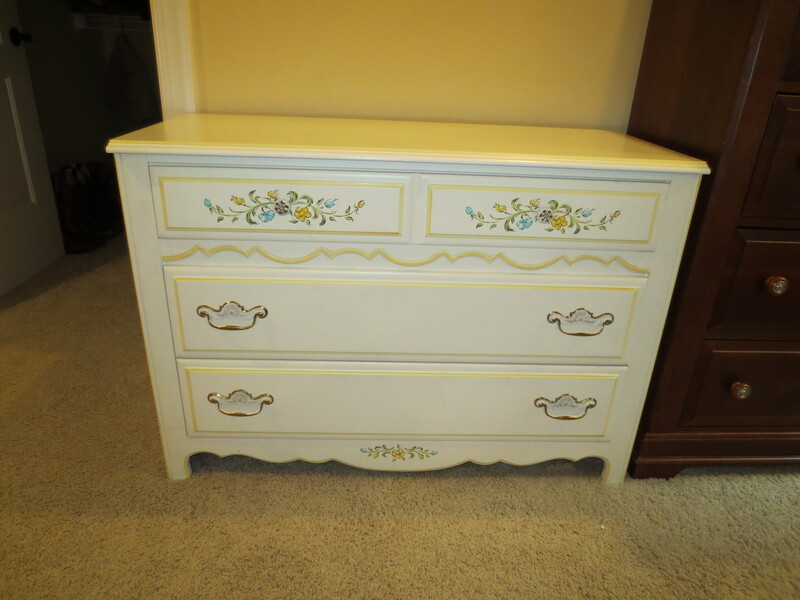 Mother Purdy had used this dresser while she was in the nursing home. Cathy didn’t have room for another piece of furniture so she and her husband, Ralph brought this pretty dresser for us to use I can’t wait to move furniture around in order to place it into the perfect spot. We didn’t realize this would confuse little Alice. Click on the links below to see her response.